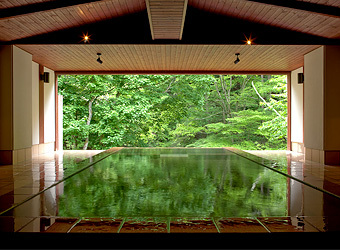 Situated in Tobira Onsen Hot Spring, an inn nestled in the heart of the mountains of Shinshu, Matsumoto. Full of serenity of confers harmonized with sound of wind, curl up inside and enjoy tranquility of a peaceful winter’s day to rejuvenate yourself. (41.25sqm: Traditional Japanese Style 12.5 Tatami mats room) If you open your window slightly, the song of wild birds will drift into your room. This room is ideal for lovers of bird watching. 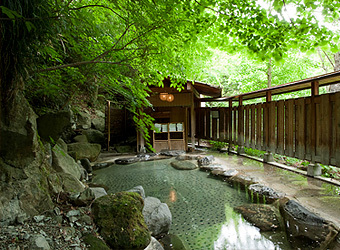 (Traditional Japanese Style dimension varies by rooms) Choose from a selection of 9 rooms, each equipped with a different type of healing bath. Enjoy the breeze, which comes off nearby Suzuki River. 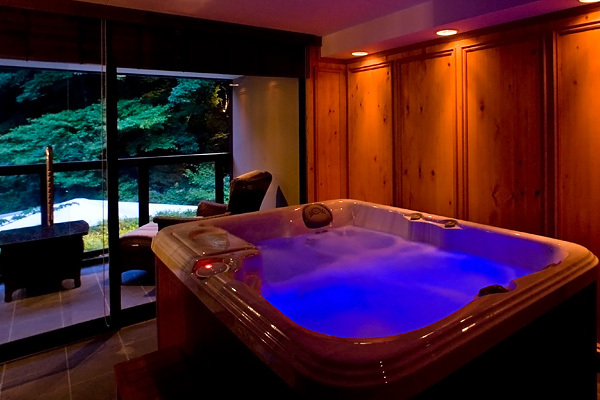 The breathtaking scenery from the valley below brings on a sense of relaxation. 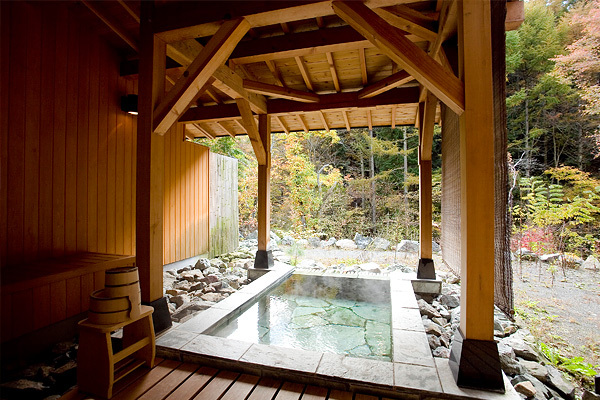 Designed with the delicate touches of a Japanese Style room, these Western Style bedrooms offer the unique feature of healing bath.